We price fairly and competitively. Because there are so many variables to pricing - size of the job, level of reporting, distance to travel etc, we currently do not display prices on the website, but we are working on a way to have some pricing available online and we always welcome a call! At Greenbuild, we are interested in sustainability from all angles. 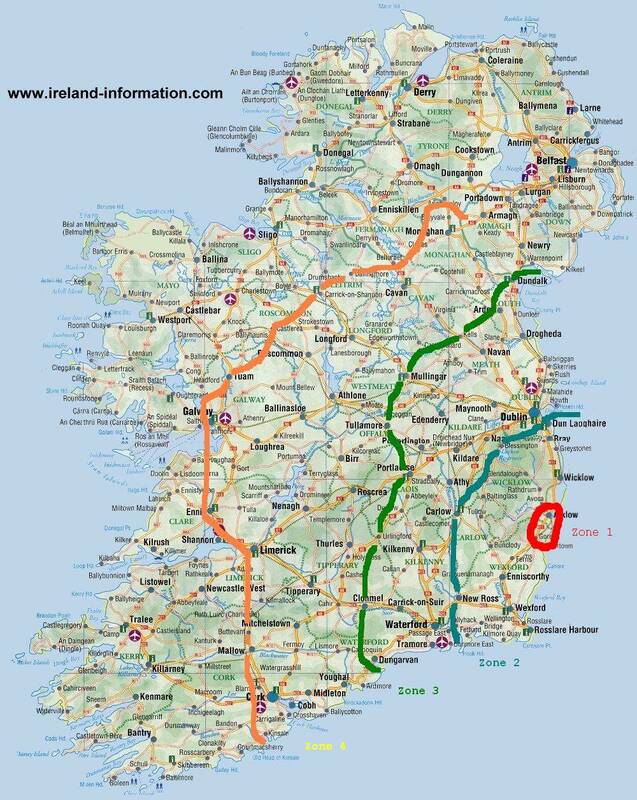 Our neighbours - Arklow and Gorey areas and the surrounding countryside. Those going down the purely or mostly natural building route. As well as offering slightly lower pricing to those living nearby our base, we have launched an information service for the communities in South Wicklow and North Wexford and points in between and nearby. If your house is bigger than this, or quite far away please do contact us and we will see what we can do. Also, if you have other natural materials not considered here, give us a shout and we will see! Ireland is a relatively small country, but still some places are more local to us than others. Below you will find the country split into 5 zones. Zone 1 is our most local area - in some cases we can even cycle to the job, which is a very low-carbon way to get the job done. Zones 2 and 3 are where we will regularly travel to. Zone 2 is up to about 1 hour drive, Zone 3 is up to a 2 hour drive, each way. Zones 4 and 5 are that bit farther and we will only take on projects in those areas that genuinely make sense - such as e.g. Greenbuild was the only certified NSAI airtightness tester in Ireland for some time, and where a building in those areas requires specifically NSAI certified airtightness testing or more specialised testing; or a natural or Passive house project that needs someone who is sensitive to the needs ot the particular project, where more local energy consultants may not be, or where PCN Level 2 Thermography is required and no local operator can assist. Specifically in Zone 5, an overnight stay may be required, which will also affect pricing. That said, we do have colleagues in various areas of the country that we would also be happy to recommend should the need arise - please feel free to contact us to discuss your requirements.